Relief. Roman copy of the augustan age from a Greek original of the second half of 5th cent. 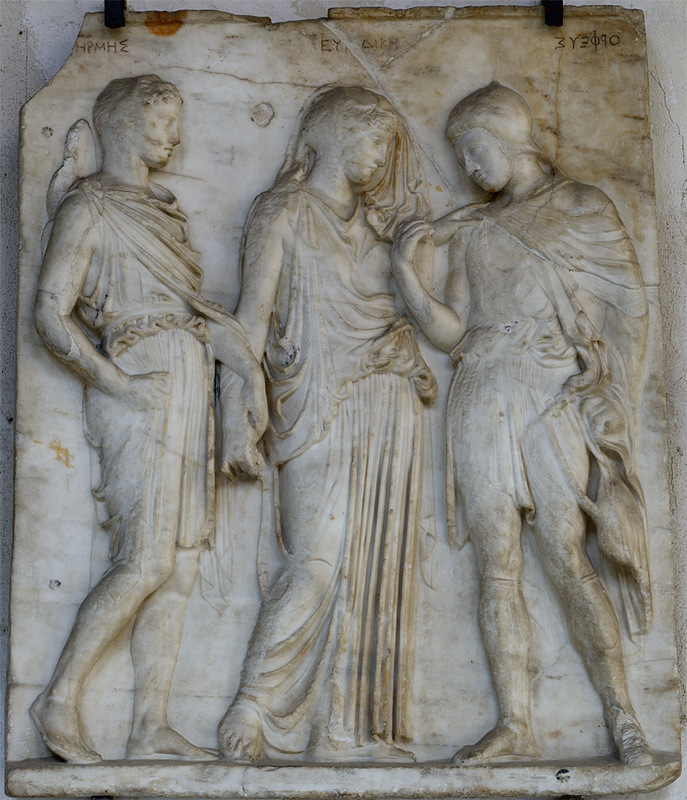 BCE by Alcamenes, disciple of Phidias. From Torre del Greco. Carafa di Noja collection. See also a similar relief from the Louvre.